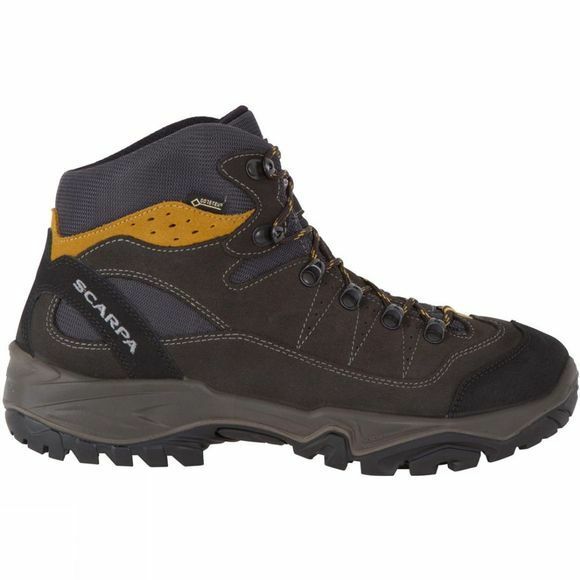 Scarpa Mens Mistral Gore-Tex Boot is an everyday companion, with a fabric-and-suede upper for immediate break-in and daily comfort. Scarpa engineered the sole to be equally comfortable on trails or firmer surfaces, if you end up wearing the Mistral in town. 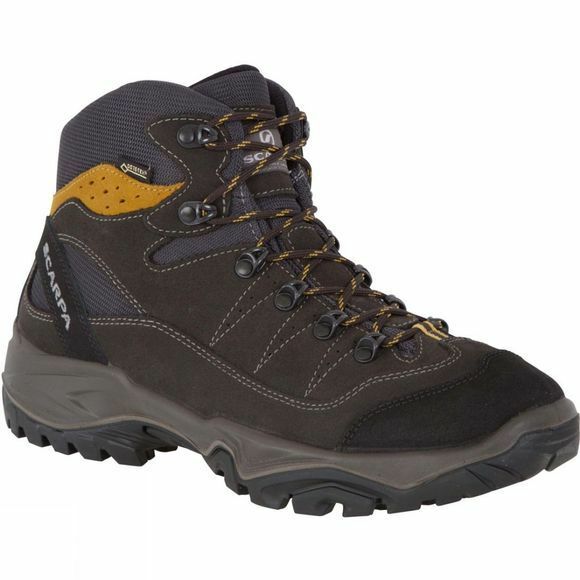 Its lightweight and robust to be taken across the wetter trails, thanks to its Gore-Tex lining.